I have a new bracelet. It’s not very fashionable, but I didn’t purchase it in the interest of fashion. A friend was wearing one, and when I asked them about it, their short testimony of its practicality and usefulness made me curios enough to research it. After doing so, I decided to get one myself. Being a handy little item, it keeps up with quite a bit. It records how many steps I have walked in a day. It tells me how many times I woke up in the night and for how long. It records when I am dreaming or in deep sleep with minute by minute accuracy. It even records what time I fell asleep and woke up. All of this information is stored and partitioned into charts and graphs for further study and contemplation. As nifty as all these features are, my bracelet is lacking. It can tell me how many steps I’ve walked in a day, but it cannot instruct me on where I should go. It tells me if I have been in deep sleep, but it can’t give me the peace of mind to usher me into restful serenity. It can tell me what time I woke up on any given day, but it cannot advise me about how to spend my day. A bracelet will never be able to do that. Only God can give that kind of guidance. I will continue to look to my bracelet for an accurate picture of my fitness needs. More importantly, I will need to look to God for guidance and peace of heart and mind. A fitness bracelet can only do so much. 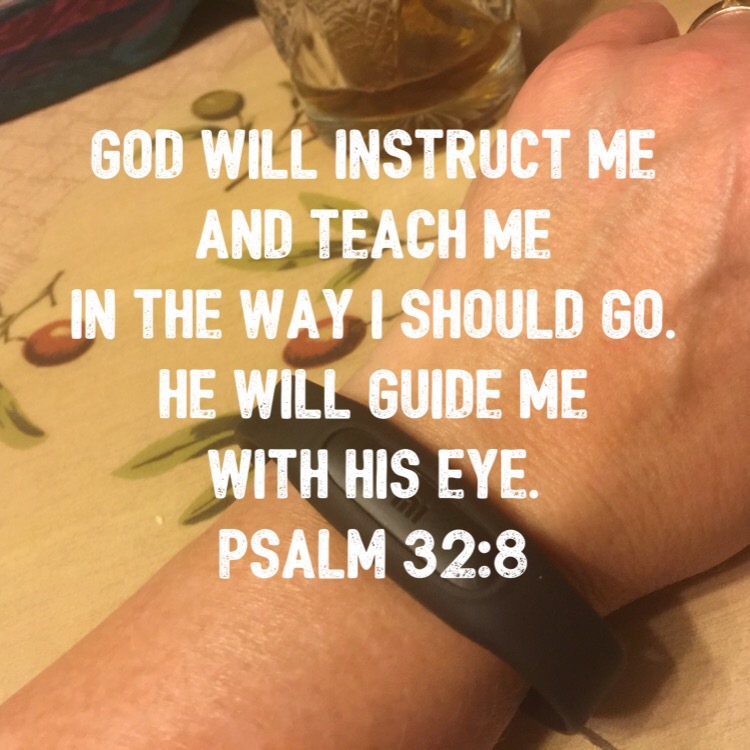 This entry was posted in Bible verses on photos, help, Inspirational photography and tagged fitness bracelet, guidance.